Do you ever find yourself justifying your actions? You started off with good intentions, but somewhere along the way, things took a left turn. Maybe something good comes out of it, but before you know it, you're justifying your actions. Perhaps you would have been better off to cut your losses and walk away. Many people have made sacrifices to improve our understanding of medical science. A review of Wikipedia's History of Medicine covers the advancement of medicine in many areas of the world. There you can find mention of figures such as Hippocrates, Galen, and Avicenna. These people, and others, have suffered for their passion. Believe it or not, there is a Sword Swallowers Association. The website describes their purpose as being dedicated to the networking of sword swallowers around the world, both professional and amateur. In a recent press release, the president of their organization declared February 28th International Sword Swallowers Awareness Day. Both there, and at their public site, they extol the virtues of their art, discussing among other things, the great contributions of sword swallowers to our understanding of medical science. This, my friends, is what we call justifying. According to their site, sword swallowing originated in India around 4000 years ago. Among other things, they credit the first endoscopic exam as the result of a chance encounter between a German surgeon and a sword swallower. Perhaps that's true. Today however, there are only a few dozen remaining practitioners. Big shock there, right? If you go to their site, one of the most prominent things you will see is a big disclaimer. I wonder why? For that matter, I would be interested in hearing what differentiates an amateur sword swallower from a professional. smile_sarcastic Seriously! I always thought the whole sword swallowing thing was a hoax! By their own admission, there are between 4 and 6 reported serious injuries that result from this practice each year, with many more unreported. When there are only a few dozen practitioners, that's not very good odds. Assuming that an injury doesn't result in death, they further state that treatment for such an injury costs between $23,000 and $76,000. I can't fathom what would make someone take up this trade. Talk about suffering for you art. Have you ever found yourself wondering how you ended up where you are in life? I think (or hope) most of us would look at this story and wonder why the heck someone would decide to stick a sword down their gullet. Then again, most of the time I can't figure out my own motivations, much less understand the motivations of others. But sometimes, just maybe, its worth stepping back and taking a long, hard look at your choices. Bounce them off someone you know and trust. Then, decide if its time to cut your losses. As my time as a bumbling idiot in my twenties I let life guide me. But now that I'm older, wiser and know how to steer the ship I'll keep this advice in my back pocket. It's important to take a step back every now and then to evaluate where you're going and the decisions you're making. This the only way I can intelligently know when to cut my losses. 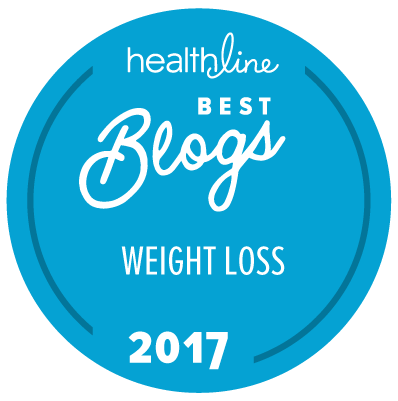 Listen some of the diet pills I once put down my throat (at one time I was hooked on a dangerous concotion of appetite suppressants, diuretics AND laxatives - oh my poor body) were every bit as hazardous to my health as sword swallowing. And I didn't even have to justify them - they were so sanctioned by society that I could walk into any pharmacy and buy them. Ironically, I worked for a sword swallower at one point in my life. (no i was not in line to swallow swords, he owned a concession stand that I worked at.) He was very nice, but more than a little off his rocker. I often wonder how I ended up on the path I am on, and I usually come to the same conclusion. I am here because here is where I chose to be. If I want to be somewhere else, I just need to choose to be somewhere else. 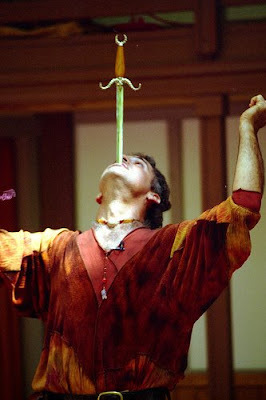 I'll go back and read more about sword swallowing as it fills me with horrid fascination. Every so often I step back and look at what I'm doing. I have no issue with stopping something I've started, although I am very good at justifying by behaviour. I'm definitely a fan of evaluating where I am, how I got there, and if it's the right place for me. I'll have to think about this-- I DO catch myself justifying my actions now and then, but am lucky enough to have a partner who gives me the Look and calls me on such things. For me, that's key, although it goes against the whole notion of personal responsibility: surround yourself w/ people who, when you announce you're planning to swallow a sword, say, "Wait just a minute..."
I'm stubborn in that way - sometimes I try something and although I stick to the idea that I have to give something a chance before I kaibosh it, I am so stubborn that I can't always admit that what I'm trying/learning/doing isnt\'t what I magined it to be and I want to stop. Then I feel like a quitter...but I'm trying to learn that it's OK to stop something if I don't like it. You'd think that would be simple, but not so much with me. I'm comign to realise that ss long as it isn't a necessary evil for life (chores and such) there has to be better things for me to be doing. Having a partner that calls me on things is a big plus...I can't lie to him even when I can lie to myself. Crabby, are you trying to raise the tone around here? Cut it out, you're making me look bad! I'm so worried about the potential to need to cut my losses that I often fail to venture in any new direction. Maybe I need to cut my losses on being such a p*ssy. I often try to work out how I got here, but having that knowledge rarely do anything about it. It's taking the next step and perhaps cutting my loses that I need to focus on most. Am having fun with being young and silly :D But not being too unreasonable. Sticking a sword down my throat isn't high on my list of random things to do. Well, I can't sleep so I decided to catch up on blog reading. So glad I came to your site because you always make me laugh. Thanks.